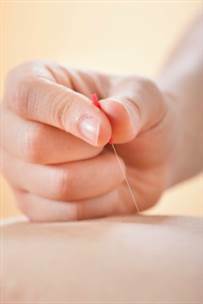 Acupuncture is part of the holistic system of medicine known as Traditional Chinese Medicine (TCM). It has been used in China for the past 3000 years and is now widely practiced throughout the world. It is used to diagnose and treat illness, prevent disease and improve well-being. Chinese medicine does not replace Western medicine but enhances, balances and complements it. Our acupuncturists Janine and Sharlene, are ACC accredited and members of the NZ Register of Acupuncturists. Acupuncture is a safe, effective form of treatment for a great many conditions that range from allergic rhinitis, to post traumatic stress disorder, Acupuncture works well in conjunction with Osteopathy, Physiotherapy, Chiropractic and other healing modalities. Janine and Sharlene are also very experienced in the field of fertility and pregnancy. As members of the Fertility Acupuncture and Childbirth Team (FACT), they offer assistance to couples trying to conceive naturally, or employing assisted reproductive techniques, and assist women throughout pregnancy and labour. They were both research acupuncturists in a large 3-year clinical trial ( soon to be published )researching the benefits of acupuncture for those undergoing IVF treatment. Janine graduated from the NZ School of Acupuncture in 2005. She is an experienced and knowledgeable practitioner who enjoys treating a wide range of health problems. She is an ACC Registered Treatment Provider, very capable in treating musculoskeletal disorders and also in helping with pain management. Janine is also a founding member of the Fertility Acupuncture and Childbirth Team (FACT), with 12 years of postgraduate study in this field. Couples come to see her when they are trying to conceive naturally or employing assisted reproductive techniques. Women seek her skills and advice during pregnancy and to prepare for labour. Janine is also a member of the Acupuncture for Mental Health Team and believes acupuncture has lots to offer for people suffering from mild to moderate anxiety and depression, and post-traumatic stress disorder. I graduated from the New Zealand School of Acupuncture and Traditional Chinese Medicine in 2009. I am registered with the New Zealand Register of Acupuncturists and am also an ACC Registered Treatment Provider. My extensive travels in China have allowed me to extend my scope of practice, through knowledge of Traditional Chinese Medicine and associated lifestyle practices. My treatments are never painful, as the needles used are very fine and not at all like medical needles. I’m able to assist with a wide variety of conditions - to list a few; digestive problems, menstrual issues, stress and anxiety related problems, musculoskeletal injuries, and many more. I have a particular interest in treating Fertility issues in both men and women: I am a member of Wellington Fertility, Acupuncture and Childbirth team (FACT). This involvement has allowed me to work onsite at Fertility Associates for over 6 years, treating their patients prior to IVF procedures. I’m able to work with couples trying to conceive regardless of whether they’re going through assisted reproductive techniques or conceiving naturally. Traditional Chinese Medicine does not replace western medicine - but enhances, balances, and complements it. I will always encourage you to seek out western medical treatment when needed, as I prefer to work in with your primary care doctor to achieve the best possible health outcomes for you. Alongside practicing Acupuncture, I am also a trained and qualified Hyperbaric Oxygen Chamber and Quantum Resonance System technician. "After a few months of stress due to my work load, I found I couldn't sleep. A friend recommended me to Sharlene for acupuncture. ﻿"I have had treatments twice with Sharlene. She has a very caring & relaxing manner. "I went to Janine to see if she could help me to fix a “hip” injury I’d been struggling with for over a year. It had been a long process of getting treatment, then seeing a small improvement, then I’d be back to square one. I have a phobia of needles but due to ongoing infertility issues and an upcoming IVF cycle I decided to try acupuncture and was recommended to Janine Nana at City Osteopaths. Janine has such a calming, kind nature I instantly relaxed and looked forward to our acupuncture sessions for the additional benefit of calming my anxiety. Before starting treatments with Sharlene I had been trying to conceive for about 12 months. At that stage, my cycle was not in optimal condition for conception. However with each treatment, my cycle and my general health began to balance and improve. After 6 months, we finally fell pregnant! The journey seemed long, and at times I feel into despair and frustration, still Sharlene and treatments were an absolute blessing. After each unsuccessful month, treatments always made me fell ready to tackle the month ahead. I always look forward to treatments with Sharlene and I absolutely credit her wonderful work towards our fertility success"
“My first ever acupuncture treatment was with Sharlene and came after months of stress, pain, and poor sleep. She communicated clearly & her friendly manner made me feel at ease, and the treatment left me feeling so relaxed that I was able to doze off in a sunbeam later that afternoon. The lowered stress levels I have experienced following her treatments have made a big difference to my life & I always look forward to my appointments with her. Sharlene's treatments have also helped me to deal with injuries & I believe they have reduced my pain levels as well as promoted healing in the areas which need an extra helping hand to mend.